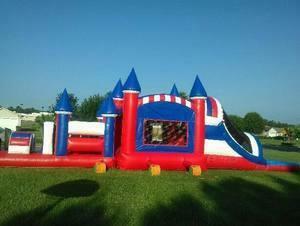 Here is our All American Castle combo Obstacle Course Combo with Dual Lane Waterslide. This item puts the wow in wow factor. Full obstacle course with bounce house and Water slide connected.